Dave Miller is no stranger to the ins and outs of new construction. You could say he grew up in the business. 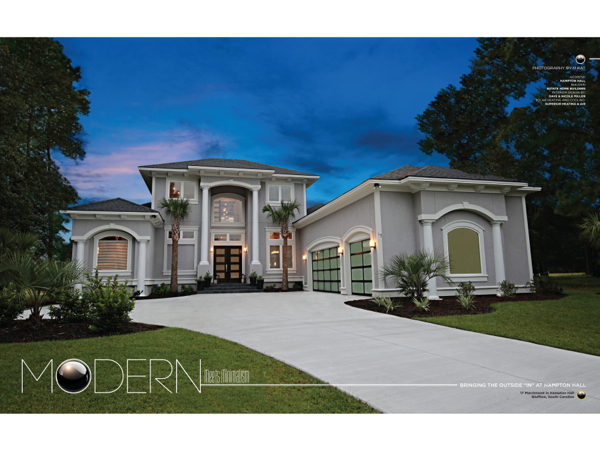 His parents, Russell and Jackie Miller, owners of Estate Home Builders, have been building custom homes in the Lowcountry for over 20 years. Miller, who also holds his builder’s license, struck out on his own at the ripe old age of 21 to start Superior Heating & Air, a successful local HVAC company. So when it came time to build his own house, Miller knew exactly what he wanted; a modern motif, high tech features, and a way to bring the outside in. One of those high tech touches is framed by two symmetrical palm trees as approach the front door. “The glass in the door goes from cloudy to transparent with a flip of a switch,” said Miller, demonstrating the privacy feature. 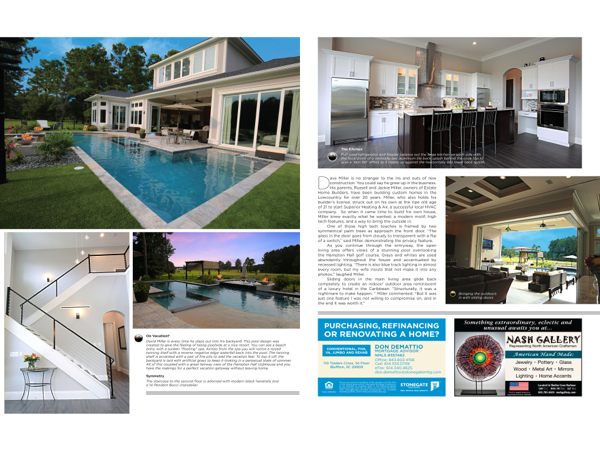 As you continue through the entryway, the open living area offers views of a stunning pool overlooking the Hampton Hall golf course. Grays and whites are used abundantly throughout the house and accentuated by recessed lighting. “There is also blue track lighting in almost every room, but my wife insists that not make it into any photos,” laughed Miller. David Miller is every time he steps out into his backyard. This pool design was created to give the feeling of being poolside at a nice resort. You can see a beach entry with a sunken “floating” spa. Across from the spa you will notice a raised tanning shelf with a reverse negative edge waterfall back into the pool. The tanning shelf is accented with a pair of fire pits to add the vacation feel. To top it off, the backyard is laid with artificial grass to keep it looking in a perpetual state of summer. All of this coupled with a great fairway view of the Hampton Hall clubhouse and you have the makings for a perfect vacation getaway without leaving home. a 14 Pendant Bocci chandelier. Full sized refrigerator and freezer balance out the large kitchen on each side with the focal point of a vertically laid aluminum tile back splash behind the cook top to give a “rain fall” effect as it meets up against the horizontally laid lower back splash. 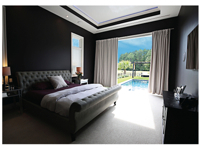 Step outside the master bedroom directly into the pool. The Breakfast Nook offers sweeping views of the golf course. 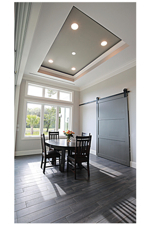 A sliding barn door separates the playroom from the main living area. 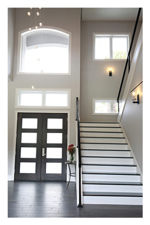 The Front Door features privacy glass, turning from cloudy to transparent with the flip of a switch. 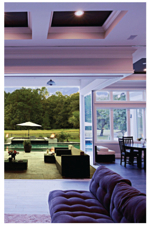 An Open Floor Plan beckons guests from the front door to the party at the pool. 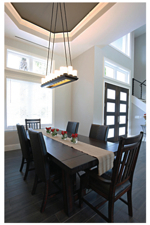 Recessed lighting and a dramatic candle chandelier accentuate the main dining room. 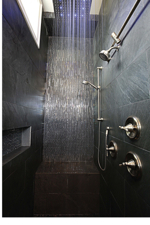 A stylish walk in style master shower with a black tumbled river rock floor accented by a glass tile accent wall. The shower has his and her shower heads and a 3 foot long “rain” head that actually changes color with the temperature of the water. A chandelier resembling bubbles seems to float above the whirlpool bathtub. Health Note: Is Fitness Better than Fatness?